Whether you are going to be a full-time vlogger and start selling or you’ll stick to affiliate marketing, the importance of setting up your YouTube channel to give out a professional feel cannot be underestimated. First, you need to have a business channel setup, and this would, of course, require a Google account. Create one if you are yet to have one. It’s easy to get started usually with just a few clicks. After successfully setting up your account, it’s time to fill out your channel description. The channel description is typically the first place you’ll land once you’ve created a channel. It’s in this place you are expected to tell your viewers and subscribers what they should expect by subscribing to your channel. The channel description is where you put external links to your various social media profiles if you want to be discovered on other platforms or you can link to your website where you sell your affiliate products. You should consider having a brand banner. It’s that catchy banner YouTubers display on their profile to hook their prospective subscribers. It’s the first thing visitors will interact with when they land on a YouTube channel so make sure it places your brand in a good light. You can hire a graphics designer to help you make the best banner, or you can choose to do it yourself with help from Google. PS: YouTube recommended cover photo size is 2560 x 1440 pixels and 4MB max file size. Another means of introducing yourself to your prospective clients is the channel trailer on YouTube. New visitors get to watch a trailer of what your brand is all about. The channel trailer is perfect for sharing with your audience what your channel is about and what kind of content they should expect. Before going into any business as an affiliate, you should consider the niche. If you’re passionate about the said niche and can convince people to try out the product you are promoting, then that’s the niche you should be going for. Affiliate marketing is a fierce industry and majority of the niches are highly competitive. So, be sure to do your research before going into any. You should be targeting an industry with a low-medium competition where you can easily climb up the ranks. To do this, you need to research for keywords. Many of the top affiliate sites like JVzoo, Clickbank, warriorplus, and moreniche are good places to find niches you can promote using YouTube. If you decide to focus on a niche like the health and fitness niche, Moreniche.com is the best place to find products to promote or clickbank.com. 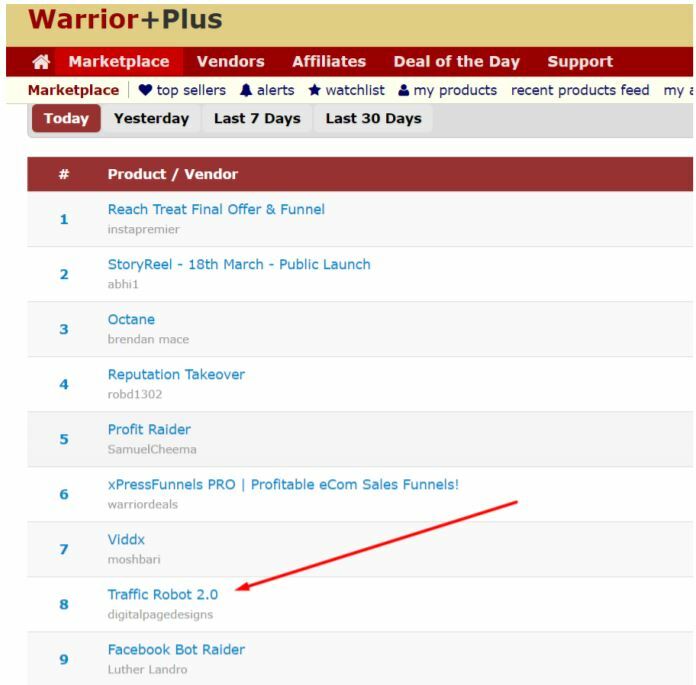 If you are focusing on internet marketing and would like to promote courses, software and other tools to help marketers succeed online, then warriorplus.com and JVzoo.com are where you should be. Once you’ve circled in on the niche you want to focus on, it’s time to start researching on products to sell. You need to figure out what people are searching on YouTube and find a product that promises to fix that problem for them. For instance, you can target e-commerce store owners looking to get traffic to their website. A quick search on Google should show you results related to that query. Seeing as a search result for this keyword doesn’t have any direct title, it looks like a possible ranking keyword. What you need to do is go over to JVzoo or warriorplus and look for a product which you’d love to promote for this offer. So, you can search for the keyword ‘traffic’ or just check the top-selling products of the day/week/month if there’s any product related to what you plan to offer. Now that we’ve found a product request approval from the product vendor and get your affiliate link. You’ll need to get keywords ready before publishing your video. So, if you don’t have keyword tools like VidiQ extension (for Google Chrome) and Tags for YouTube add-on (for Firefox), be sure to get them ready. Once installed and enabled, when you open any video, you can find the tags of the said video written which shouldn’t have been possible to see. 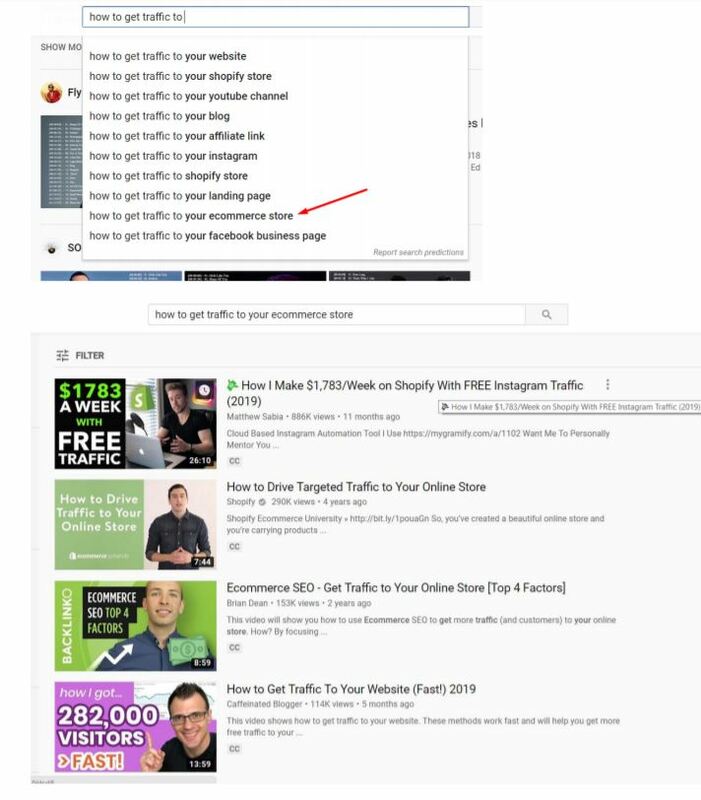 The tags are the keywords which the YouTube video creator is targeting. So if you can figure out the tags which are generating the most views for the video creator, you can duplicate and start ranking among the top 10. For instance, in the video below, you can see the tags as well as the link to product the YouTube creator is promoting. If you are going into YouTube to promote affiliate offers, you should bear in mind you would need to create videos. Video creation is an important step which is where many people fail, and few people succeed. Your videos need to be interesting and well made. It should not be blurry or inconveniencing to watch. This is why many of the top video content creators on YouTube spend thousands of dollars paying for expert video editors as well as content creators to assist with generating video ideas as well as making the videos top-notch with effects and whatnot. Their aim is simple; to keep viewers glued to the device they are watching on when they land on their channel. There’s something to note, however. The type of niche you would be focusing on would play a critical role in the video style you would be employing. Example, the make money online, traffic generation videos and others can focus on informational style video where you talk about what you were doing before getting the system which worked for you. You should try to display proofs or results in the video. The health/fitness niches like fat burners require a different approach. They typically require that you display proof like the before and after pictures. Also, the videos are best ‘story-telling’ styled. In this section, we’ll be taking a look at a few of the most efficient ways of creating good affiliate marketing videos to be used on YouTube. With YouTube consistently maintaining the number one video sharing website on the internet, you can expect a fierce competition no matter what you are promoting. If you aim to create great videos which encourage people to check out your offer and purchase using your link, then you should be planning to create topnotch videos. You can’t sideline the big wigs on YouTube with a poor video. Stats indicate that there are over 1,000 hours of videos uploaded on YouTube every minute. If you are a regular YouTube-r, you would agree that most of these videos are nothing short of terrible. Would you want to be among the terrible crowd churning out poorly created videos or would you love to create video contents that will give you more credibility and consequently more money and followership? If you are interested in increasing your followership and revenue as an affiliate marketer that is exactly what you’ll learn in this section. Lighting is very important in making videos that your followers would love to see. It doesn’t matter if you are using a low-quality camera or a PC. There are several lighting kits that are affordable and can get the job done. In case you’re recording yourself using a PC, you can place desk lamps behind and around the computer screen. The sound quality is about the most important factor in making a video. Even if the picture quality is low, do not produce a mediocre sound quality! Mediocre sound quality will make even the video with the best graphics to have tons of negative reviews and thumbs down. Endeavor to invest in a reliable microphone (hey, they cost next to nothing) and use a noisefilter after making the videos to remove any surrounding noise. In case you can’t do this, hire a freelancer. There are several brands of video cameras in the market but whichever you choose to use boils down to your budget. i. Smartphones: New generation smartphones like iPhone, Google pixel and Samsung Galaxy devices are equipped with decent cameras which are capable of churning out high video quality. You can make use of them as long as you have decent lighting and topnotch sound quality. ii. The PC Camera: Newer generation laptops are equipped with decent cameras that can produce top-notch video quality. Do not fret if you have an older model of laptop or desktop with poor camera quality. You could purchase an add-on webcam and use for your video recordings. iii. DSLR (Digital Single Lens Reflex) Camera: Hardly does anything beat a DSLR camera. Although the Google Pixel XL 2 has great quality, the best camera you can bank on for ultraclear images and professional touch to your videos is something like either the Canon or Nikon DSLR cameras (that unbeatable depth-of-field look). The easiest way to set up a video is by using the ‘Jump Cut Edit’ method. This method involves joining several small videos together to make an interconnected and much more interesting but longer video. • Improves your YouTube SEO by keeping your audience glued with fast-paced videos. They are also bound to be more engaged and spend longer time watching. • Saves you the energy of cramming long scripts during recording. Making Jump Cut videos are easier if you have your script already written and broken into small easy-to-remember bits. If you find it hard to write compelling and engaging scripts for your YouTube videos, you can hire a freelancer from Fiverr.com or Upwork.com and get it done. Another important thing to consider when recording a video for YouTube is the contents. Once your content is boring or irrelevant, you would only get insults and lesser viewers and time spent on your videos. The resultant of this is your videos being pushed out of the YouTube result page. Can’t write contents/script? Hiring a freelancer would be worth it. After recording your video, you may want to edit it – o add that professional touch that keeps viewers engaged. Good thing for Microsoft Windows and Mac users. They can use the already-installed Movie Maker or iMovie respectively. If you want to make animations, you can visit these websites and finish your job; https://www.powtoon.com, https://animoto.com, and https://www.moovly.com. Software reviewers and gamers mostly create this kind of video. It involves live demonstration of the software functions while the actions are being recorded and captured by screen capture software which runs in the background. There is a plethora of screen capture software, but Camtasia happens to be the most expensive. Cheaper software can be found at OBS Studio (https://obsproject.com/) and Camstudio. Never thought of this? Well, you may decide to give it a try. All you need to do download other people’s videos and do a little editing, after which you can re-upload the video as if it was your creation. While YouTube considers this act as ‘BLACKHAT’ which might eventually get your channel banned and the upload deleted, if you are too lazy to create your video from scratch and can’t afford to pay freelancers to create one, you can give it a trial. Just head over keepvid.com to download from sites like Daily Motion or YouTube, edit and re-upload on your channel. Some sites are offering royalty-free videos that you can download and treat as you wish. One of such sites is www.pond5.com. For more of such sites, do a quick Google search. To monetize your uploaded videos after creation, you should use CPAs, Adsense, affiliate offer links, etc. Even as an affiliate marketer for digital products on warriorplus.com, JVzoo.com, clickbank.com, and others, review videos seem to be a great way to harness views and get people to purchase what you’re promoting. Most people are ready to buy but want a review from someone who has used the said product. You can take advantage of this and bank thousands of dollars monthly promoting different products. Typically, review videos would mean you should show proof of the product you are recommending. If it’s a digital product like a video course or an eBook, you can record your screen showing the offer page and maybe show the course outlines. Talk about what the video covers in each segment and explain who it is for. For example, a course promoting Shopify if it doesn’t cover key details like sourcing of goods, how to source goods, how to find hot selling products and the likes may not be for the newbie ecomm guys. So, talk to your audience in your video and give them a breakdown of the said course. When publishing your review video, you should consider the YouTube search optimization techniques (which is similar to the Google optimization technique). So, begin by using keywordfocused title. If you’re making review videos, you should include ‘keyword’ in the title of the video (like ‘name of product’ review) for it to rank on both Google and YouTube search. Don’t forget to mention your keywords you are planning to rank for in the description. You can add the tags generated from YouTube tags extension (Firefox) or those generated by VidiQ extension (chrome) strategically in your product description to ensure you rank high. Review videos are some of simplest form of monetization because all you have to do is attach affiliate links to the products you are reviewing and you would be paid a commission on every sale made via your channel. Promoting on YouTube is quite easy. You don’t have to email anyone consistently or try even spam groups to get views. Once you create your video, upload it on your channel and add your tags you can start getting view. 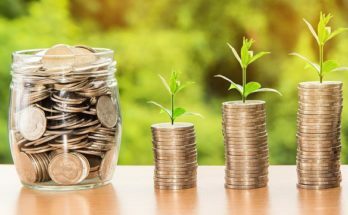 Monetization follows (attaching your affiliate links), typically, you should already have that covered when creating your description for the video. To effectively convert videos to cash generating machines, add your affiliate link(s) at the beginning of the description just like seen in the image above. Attaching affiliate links is quite easy. Just get your affiliate link to the product you’re promoting and post it on the video. It should be a clickable URL at the description space in the video you uploaded. A shorter URL often tends to be more attractive and trust-commanding. Visit sites like https://tinyurl.com, https://goo.gl, and https://bit.ly to shorten your URL. WordPress also lets you make use of customized URLs if you’re going to be redirecting the visitors from your video to your website. Tip: You want more clicks on your videos, right? Purchasing a domain name and forwarding it to your affiliate link is your best bet. Viewers are more likely to click a real domain name than an affiliate link or a shortened URL. When you watermark your review video uploads, your affiliate link would be displayed right where your viewers can see it – right in front of them. Also, if your videos are watermarked, video pilferers would be instantly turned off. There are a plethora of videos and affiliate links watermark tools online. A notable one is the Video Watermark Factory that you can download from https://videowatermarkfactory.com. This tool keeps your affiliate link in front of your viewers throughout the duration of the review video. 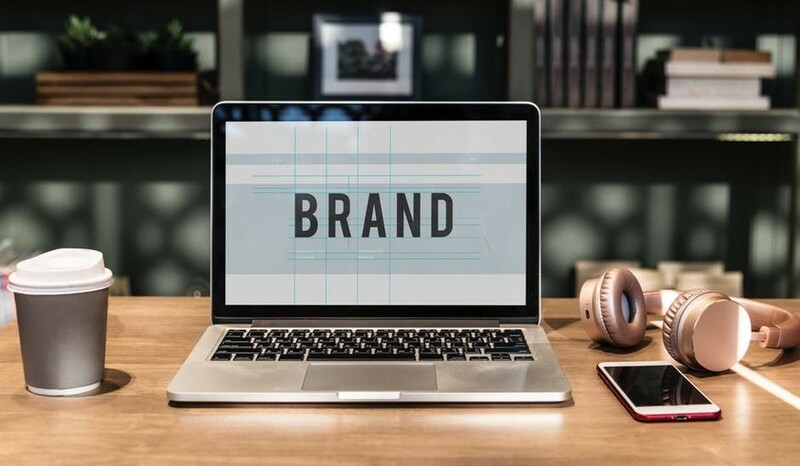 The rationale behind these types of the title is simple – rank for small keywords especially those highlighting the disadvantages of a product, since most people are trying to rank for the positives. 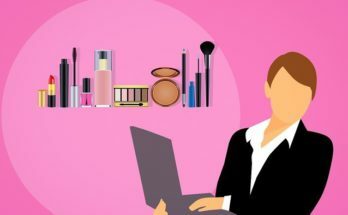 Several people, while not lump sums are searching for those same match keywords, asking if the said product is bad and if it is – what recommended products are alternatives. 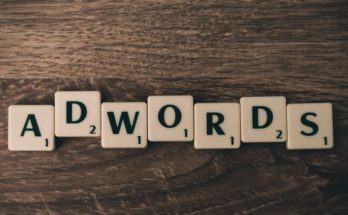 Affiliate video creators take advantage of this to rank those less competitive keywords which these negative words keywords fall under, and when it begins to gain traction, and people interact more with the video, YouTube considers the video informative and it shows up on other more competitive keywords. If you are trying to rank for negative words of any keyword whether, in the make money online niche or health & fitness niche, the goal is simple, discredit the product you’re talking about and try to encourage viewers to check out alternative products which are a lot better than the product you discussed. You can then in the description send a link to the product page you’re promoting in the place of the keyword you just ranked for, or you can send viewers to a squeeze page to key in their email addresses for follow-up. The later is best if you’re planning to sell to the same audience with email marketing repeatedly. Previous Article 7 Minutes Daily Profits Review : Scam or Legit? $500 Per Day? Next Article Cash Sniper Review : Scam or $3500? Don’t Buy!